Throughout their time in middle school, students experience a great deal of intellectual, emotional, and social changes that present challenges. 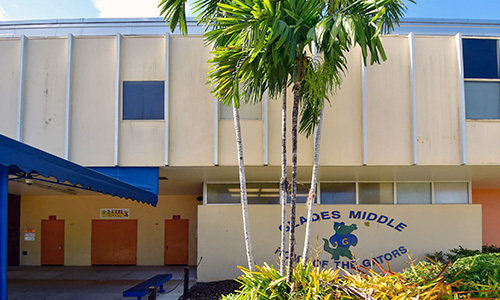 It is the goal of the Glades community to encourage students to perform to their maximum potential, exhibit school pride, be an informed advocate of their own education, and be better prepared for their high school and post-secondary school experiences. I hope you become involved in the total school program and take advantage of the extracurricular activities Glades has to offer you.